Baritone Oskar McCarthy (who was in Pop Up Opera's performance of Rossini's L'Italiana in Algeri last year) gave what is thought to be the UK premiere of Othmar Schoeck's song cycle Buried Alive (Lebendig Begraben) in October last year at Brompton Cemetery as part of the London Month of the Dead. Now McCarthy and pianist Rob Keeley are repeating the performance, semi-staged this time, as part of Camberwell Arts Festival on Monday 13 June 2016 at 9pm at St Giles' Church, Camberwell. Schoeck wrote the song-cycle in 1927 to poems by Gottfried Keller. It tells the strange story of a man who awakes to find he has mistakenly been buried; firstly he panics and hopes that his girlfriend or a friendly grave robber will come to his rescue; then he begins to reminisce in his coffin about his childhood, youth and first love; finally he casts his soul into eternity in an acceptance of his fate. Rather intriguingly James Joyce heard a performance in Zurich in 1935 and was impressed, and in fact Joyce's novel Finnegan's Wake, which he was working on a the time, has a similar story. 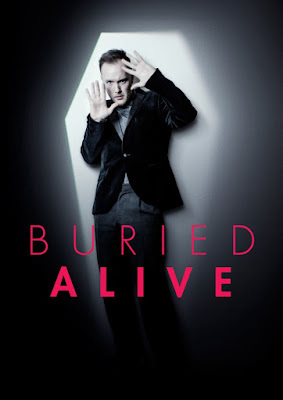 Full details from the Buried Alive website.